Homeopathy or Homeopathic Medicine is derived from the Greek words “homoios” (which means like), and “pathos” (which means suffering). It is a system of alternative medicine created in 1796 by Samuel Hahnemann, a German doctor. He believed that in healthy people, the cure of a disease is by using a substance that can cause the same or similar symptoms, he called this personal theory of his as ” like cures like”. An example is too much consumption of coffee can cause sleeplessness, so a little substance of coffee is needed to make the homeopathic remedy which could be used in treating the symptoms of sleeplessness. Diluting a substance increases its potency. A principle used in homeopathy in which the effectiveness of the medicine is achieved through a lower dose. The purpose of treating a disease using a lower dose of medicine is to activate the natural healing process in the body. Homeopathic remedies are diluted to the point where no trace of the original substance is traceable which makes them non-toxic. In addition, the remedies are diluted in distilled water or alcohol. Substances of Homeopathic remedies are derived from minerals, plants and animals such as mountain herb (arnica), poison ivy, belladona (deadly nightshade), red onion, stinging nettle, crushed bees and white arsenic. Remedies come in different forms like tablets, ointments, gels, drops, creams and sugar pellets. Homeopathic treatments are designed to cater each individual’s needs; people suffering from the same medical condition will have different treatments like conventional medicine. What the benefits of Homeopathic remedies? 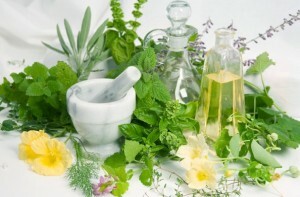 Homeopathic remedies have been used to treat diseases for hundreds of years. Below is a list of its benefits. It is safe and has been regulated in the United States since 1938.Why it is safe?• It has no know side effects like headache or stomach ache.• Don’t interact with herbal remedies and conventional medicine.• Don’t contraindicate any medical conditions. It has a wide scope of use in treating or relieving symptoms of different medical condition such as teething, allergies, stress, cold, arthritis pain, muscle pain, irritable bowel syndrome (IBS) and etc. It is quality-controlled. Manufacturers of homeopathic remedies follows the highest standards and specifications set by HPUS (Homeopathic Pharmacopoeia of the United States)and (DGMP) Drug Good Manufacturing Practices. It is available in many forms such as tablets and gels. Belladona is great in treating violent throbbing pain cause by arthritis. It is also good for red swollen joints.• Bryonia is good for worse arthritis symptoms. Aconitum is typically used for cold treatment in the first 24 hours. Anas barbariae also known as “Oscillococcinum”. This is very effective in treating flu. Cantharis is the most effective homeopathic remedy for urinary tract infection (UTI). Berberis another remedy for UTI accompanied with the burning pain when urinating. Aconite Napellus (Acon.) is used in treating anxiety and waves of fears. Chamomilla is one good remedy for teething in babies that are very irritable due to the unbearable teething pain. Silicea (also called Silica) is used to treat constipation especially in cases which a person strains so much and yet failed to defecate.